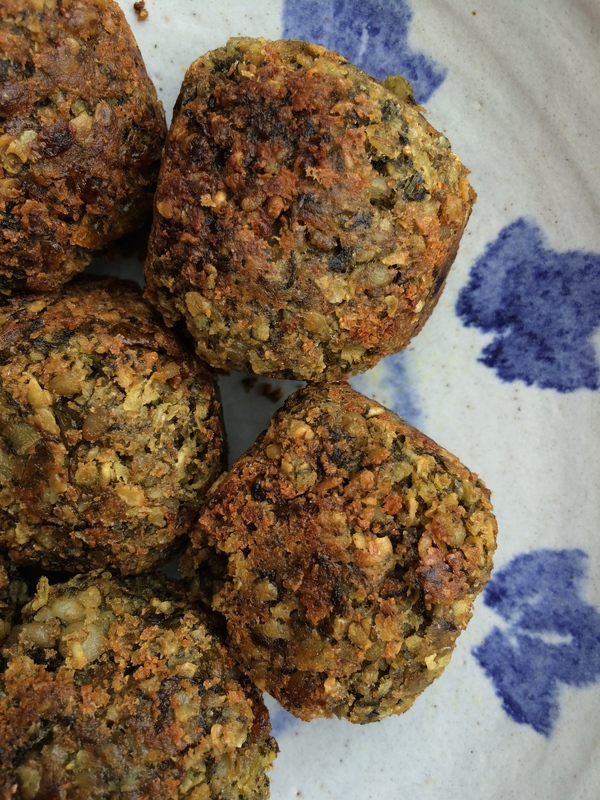 There are numerous versions of this savoury pudding recipe. The one I have used and adapted is by Roger Phillips. Instead of Bistort I used Dandelion leaves. Bitter or aromatic flavours work particularly well so you could try Cow Parsley, Ground Elder or Sorrel. 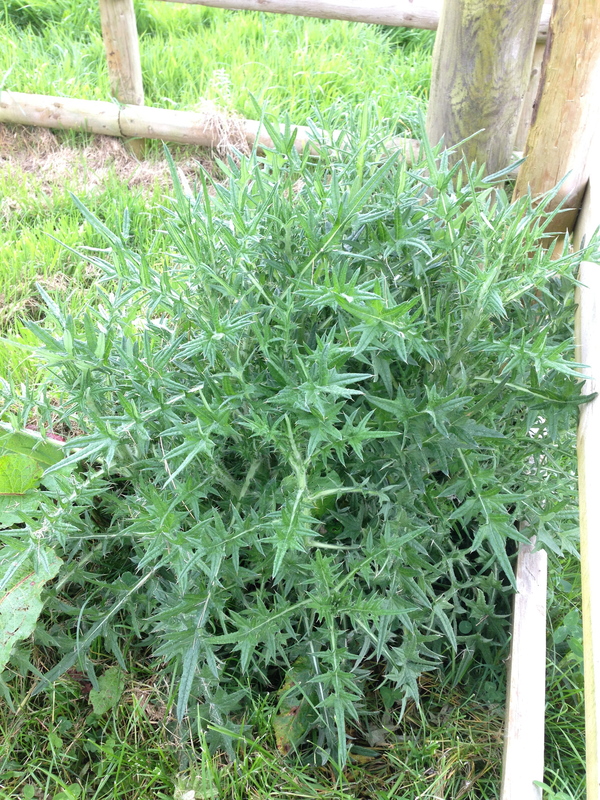 That is if you are one hundred percent certain that you can safely identifying these plants. Chop the greens and onion finely and sprinkle the washed barley among them, adding the salt. Boil in a muslin bag for around one and a half hours, then strain. Before serving, beat the mixture in a dish with the egg, a large knob of butter, salt and pepper. I add oatmeal and breadcrumbs to the mixture as well. Form into cakes, roll in more breadcrumbs, then fry in sunflower oil. 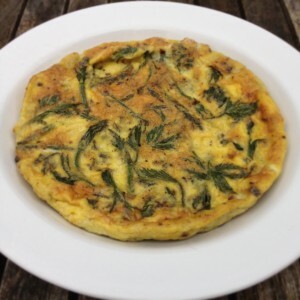 Serve with potato wedges, on a bed of Sea Spinach or with a wild leaf salad. 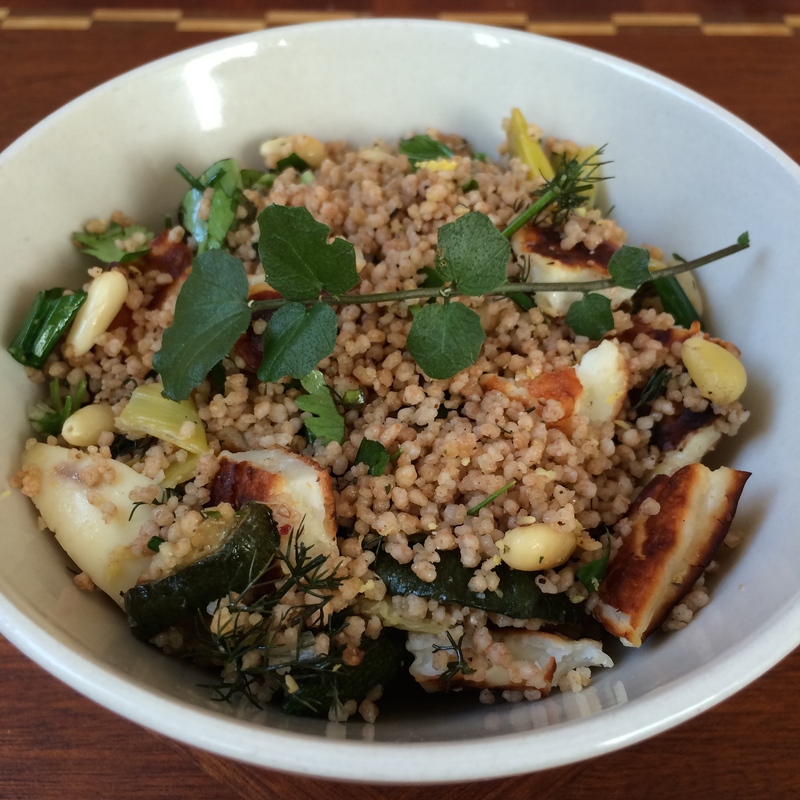 Adding foraged ingredients to couscous works really well. You can truly let your imagination run wild, adding various leaves, shoots and seeds as well as store cupboard ingredients until you are satisfied. I always taste what I’m making as I go so I don’t overdo it with any one ingredient and I have favourite additions which I include every time; toasted pine nuts, lemon zest, avocado and Elderberry vinegar work really well. Leaves-wise this time I added Wild Garlic, Three Cornered Garlic flowers, Common Sorrel, Alexanders, Hairy Bittercress, and Garlic Mustard. I also added some Lady’s Smock leaves (chopped finely as their taste is particularly strong), Fennel and Yarrow leaves. Regular couscous is good but I love the spelt variety with it’s nutty taste. I added my own dressing to taste. This was made from Elderberry vinegar, apple cider vinegar, extra virgin olive oil, whole grain mustard, paprika, olive oil, thyme and seasoning. 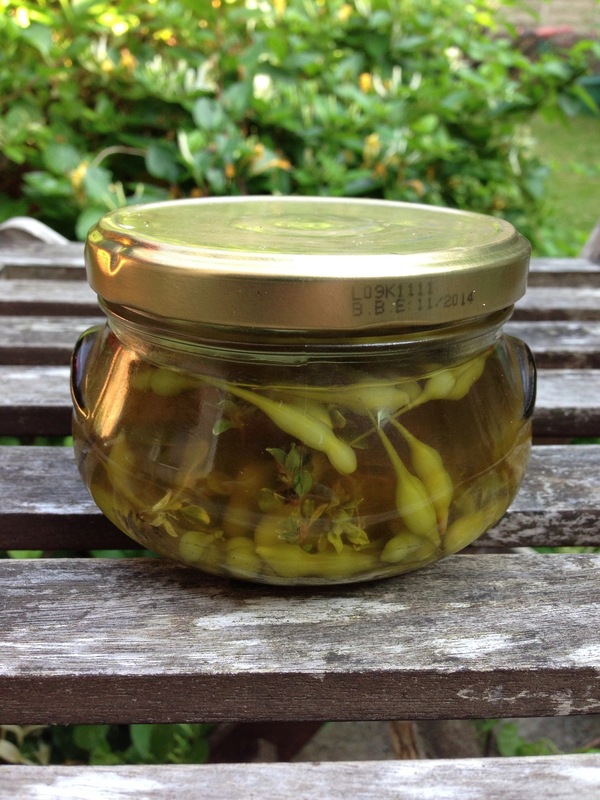 Makes 5 medium sized jars. Peel and halve the three cornered garlic bulbs, put them into a medium-sized saucepan with the malt vinegar, coriander and Garlic Mustard seeds. Bring to the boil then lower the heat and simmer for 8 minutes. String the beans, removing the stalks. Thinly slice each bean, cutting diagonally to give fine shreds about 4 or 5cm long. Bring a pan of water to the boil, add the beans and cook for a full minute. Drain and set aside. Mix the mustards, turmeric, sugar, salt and half the cider vinegar in a small basin. Dice the tomatoes then add to the saucepan with the vinegar and garlic bulbs, stir in the beans and mustard mixture then add the remaining cider vinegar. Bring to the boil, then simmer for 15 minutes, stirring regularly. 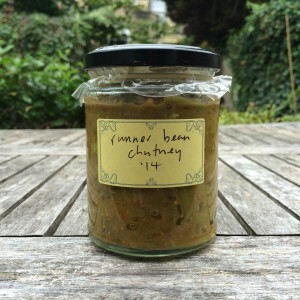 The beans should be tender but don’t overcook – remember they will soften in the jars. Remove a few spoonfuls of liquid and use it to mix the cornflour to a paste. Stir gently back into the beans. Leave to simmer for a minute or two until the mixture has thickened slightly. Ladle into warm, sterilised preserving jars and seal. You could substitute the Garlic Mustard seeds for bought yellow mustard seeds as it is too late to forage your own seeds at this point in the year – I collect them during mid-late Summer and store for later use. Three Cornered Garlic bulbs can be found all year round but you could use shallots or onions instead. 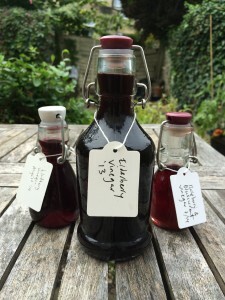 These vinegars were made from allotment black currants, foraged Blackberries and Elderberries. Last September I made enough Elderberry vinegar to last through the year and it’s proved to be one of my favourite kitchen ingredients. Raspberry vinegar can be used to deglaze cooking pans after sautéing lamb. The delicious fruitiness lifts the caramelised flavours off the bottom – no more scrubbing sticky pans! Add Elderberry vinegar to olive oil for a mouthwatering salad dressing, the perfect accompaniment to all your foraged salads. 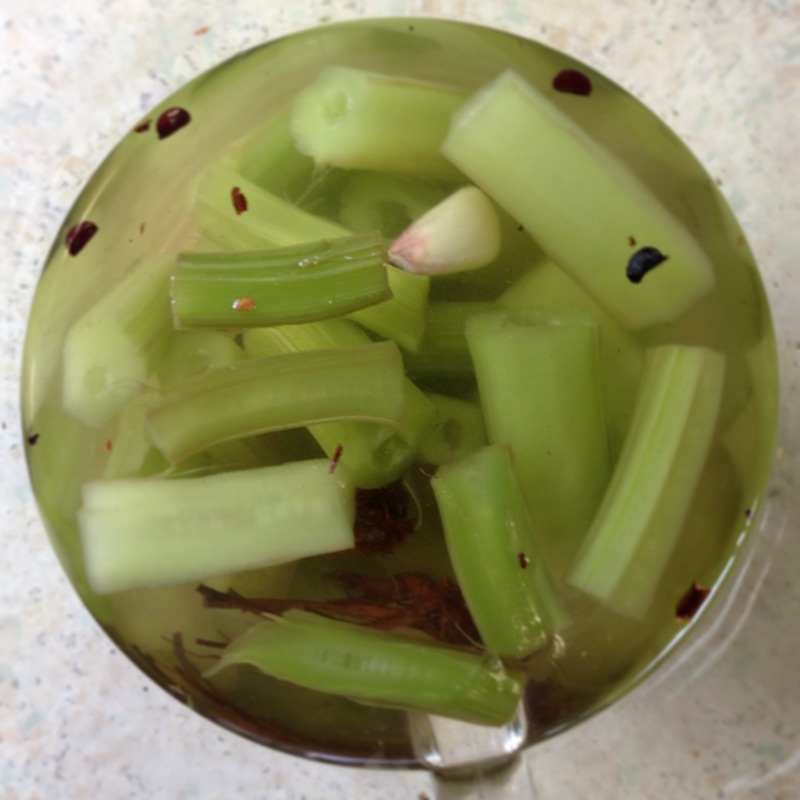 Elderberry vinegar is also particularly good with game. Make a refreshing cordial by adding vinegars to iced mineral or soda water. Lastly, surprisingly, vinegars work a treat drizzled over vanilla ice cream. Full of vitamins, anti-oxidants and anthrocyanins, your fruit vinegars can help keep colds at bay throughout the winter months. Vinegars still contain quite a lot of sugar – but less than things like jams, jellies and fruit leathers. Use unpasteurised apple cider vinegar in your recipes and you’ll be getting even more goodness. More or less sugar can be used according to your preference. Add the sugar to taste when you heat your vinegar before bottling. - Using less sugar means you’ll have a more vinegary tart flavour. - Adding more sugar and you’ll end up with a more syrupy consistency. Below is a basic recipe for making Elderberry vinegar which I’ve taken from Miles Irving’s excellent book The Forager Handbook. He credits the recipe to forager-herbalist Mandy Oliver. You can use the same method to make other fruit vinegars. Freeze Elderberries then when you are ready to make your vinegar remove from the freezer, prizing them from their stalks using your fingers. Discard any that don’t look good. Allow 500ml white wine or apple cider vinegar for 350g fruit. Add the vinegar to the fruit, leave covered for 3-5 days, stirring occasionally, then strain off the liquid. Add 350g sugar per 260ml liquid, boil for 10 minutes then bottle in sterilised bottles. You can try reducing some of the liquid for a further 10 minutes or so to make a balsamic glaze which is fantastic on deserts. Once again I’m getting in a right pickle here. But that’s okay. 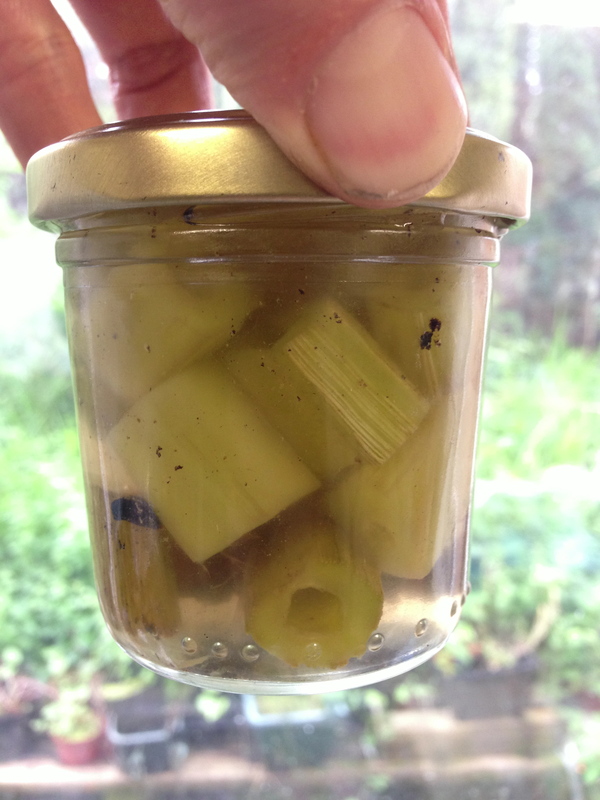 Pickling is fun. As with brewing the anticipation is half the pleasure. Sea radish pods are lovely- they taste like sweet radishes. I picked these a couple of weeks ago from a spot near the Severn Bridge and its not too late to harvest them but I’d get a move on. You want the ones with a bit of ‘give’ when you squeeze them (if they are too hard they’ll be crunchy but not in a good way). Firstly bring salted water to the boil, then add radishes and remove from the heat. 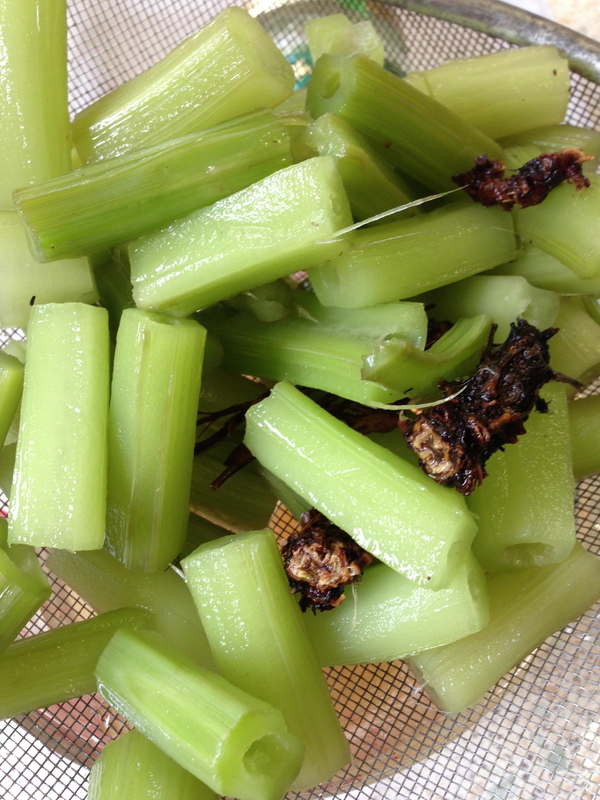 Leave for five or ten minutes to soften then drain the pods thoroughly. Place radishes in sterilised jars and add a bay leaf, some chilli flakes, one clove of garlic, a pinch of salt in each jar and some wild thyme (I cheated and picked thyme from the herb garden in my local park which still felt more like foraging than buying it from a shop). Bring some cider vinegar to the boil, then simmer for a few minutes before pouring into the jars. The pickled radish pods will be ready to consume in about two months. In the meantime enjoy fresh pods chopped and added to salads. Pickled Thistle. Ouch that tastes good! Wearing THICK gloves we harvested then trimmed the thickest looking Marsh Thistle stems we could find and peeled the skin and outer layers using a cheese slicer (making absolutely sure all the spines had been removed). We then chopped these into pieces, washed and sautéed for a few minutes to slightly caramelise them. Next we heated 60/40 water and white wine vinegar, simmering for a few minutes, poured into hot, sterilised jars adding our thistle pieces, a tablespoon of honey, a little salt, one or two cloves of garlic chopped Clove Root, Ramsons seeds and Alexanders seeds. These were left for a day or so to pickle. They were delicious! 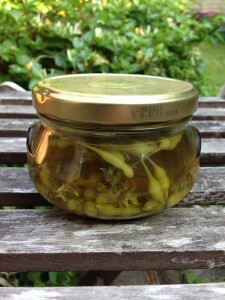 It’s a lot of effort, granted but worth the trouble as they have a great taste, similar to artichoke. Once pickled you can also add thistle pieces to jars of oil and I think this is how I like them best! 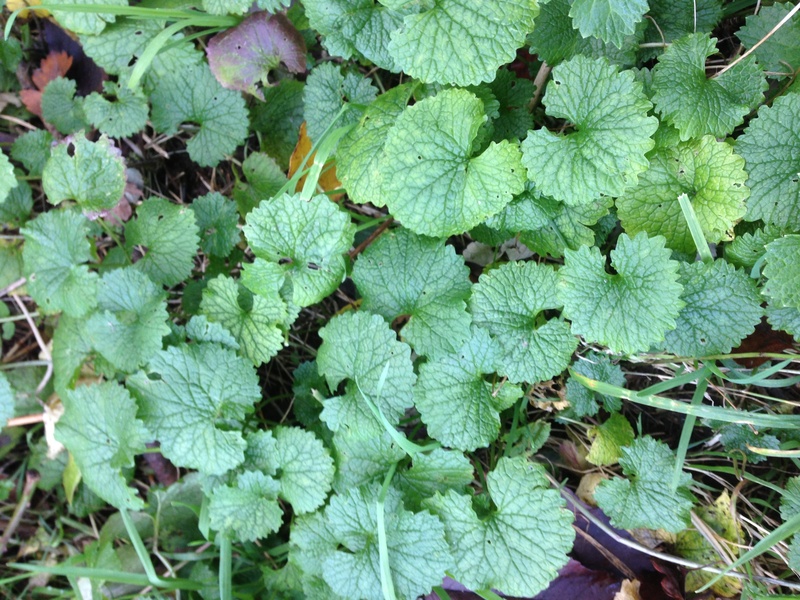 Jack By The Hedge or Garlic Mustard is a plant that you really ought to get to know. You might love it… I do. A member of the Cabbage/Mustard family; as well as being high in vitamin A, the leaves contain glucaosinolates, apigenin flavanoids, allyl sulphides and isothiocyanates, which are known to have anti-tumour effects. 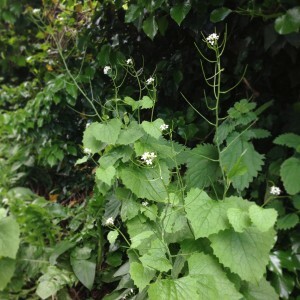 Garlic Mustard does however also contain anti-terpines which inhibit the absorption of proteins in the small intestine. For this reason it’s probably best to avoid consuming large amounts of this plant… All things in moderation. Garlic Mustard often grows at the edge of woods or in hedgerows in large clusters reaching up to a meter in height. From mid-April the plant’s small, white, four petalled flowers make it easy to spot. 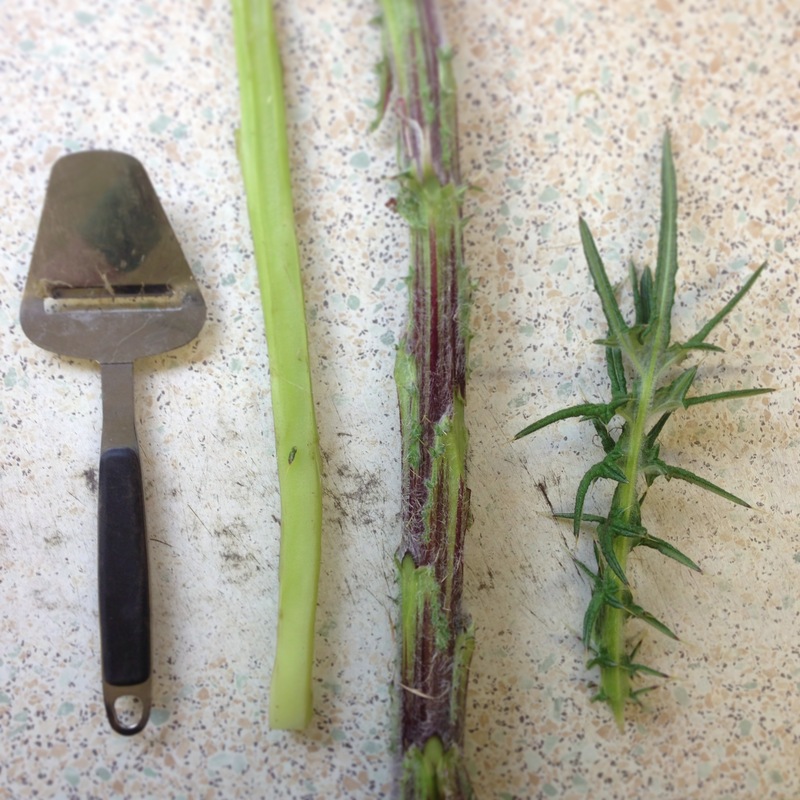 By this time of year, as the plants cling onto their last few flowers, the notable features are the long, green seed pods, which reach out from the central stem like Stick Insects. The Nettle-like leaves are best eaten between March and May when they are flavoursome and neither too pungent nor tough. Basal leaves (those at the base of the central stem) are kidney-shaped and for the first year of the plant’s two year life cycle they form a basal rosette, from which the plant grows up during it’s second year. 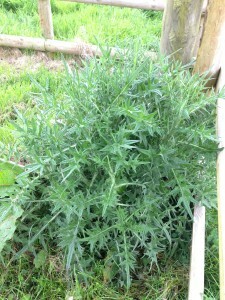 All foliage is edible but the tastiest leaves are those towards the top of the plant. 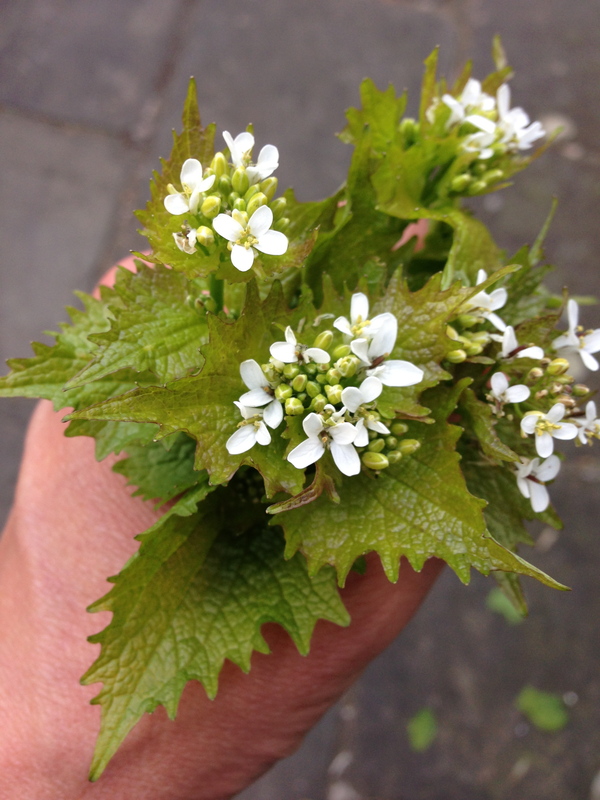 Garlic Mustard does taste of both garlic and mustard yet to me this plant has a flavour all of it’s own. See what you think. 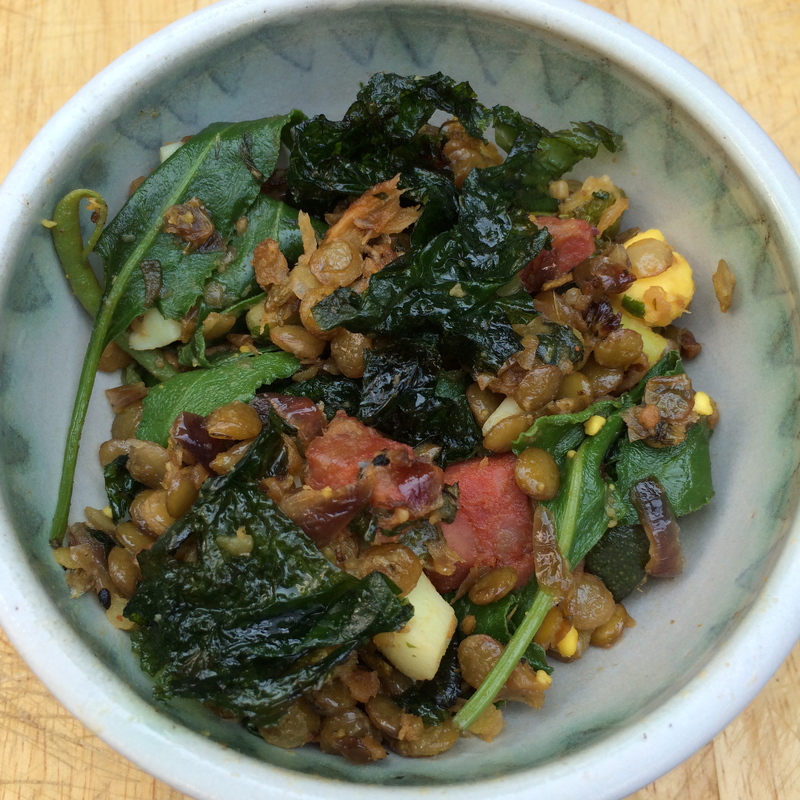 The leaves go very well with bacon or lamb and are wonderful in salads whereas the flowers make a perfect garnish for risottos and lots of other dishes. The dried seeds with their mustardy flavour can be harvested later in the summer, stored in jars and then used throughout the year for breads, chutneys and any dishes requiring spices. 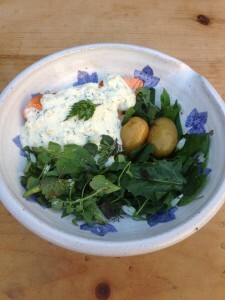 As with all wild food the joy is in the experimentation so see what you come up with! young leaves in February (above) and mature plants in May.